One French painter who was known for his portrayal of the Parisian theatrical life was Henri Marie Raymond de Toulouse-Lautrec-Monfa. He signed is paintings with his shortened name, Henri de Toulouse-Lautrec. He was born on November 24, 1864. Henri de Toulouse-Lautrec was known mainly as a painter, but he was also an illustrator, a draughtsman and a printmaker. Several of his paintings depicted the colorful and decadent life in Paris in the late 1800s. He, together with Gauguin, Van Gogh and Cézanne were the most popular artists of the Post-Impressionist era. The painting above of a young laundress, called “La blanchisseuse” was sold in the 2005 auction by Christie’s for a staggering $22.4 million. Léon Bonnat, a highly praised portrait painter. His mother used their family’s influence so that his son could be accepted into the studio of Bonnat. 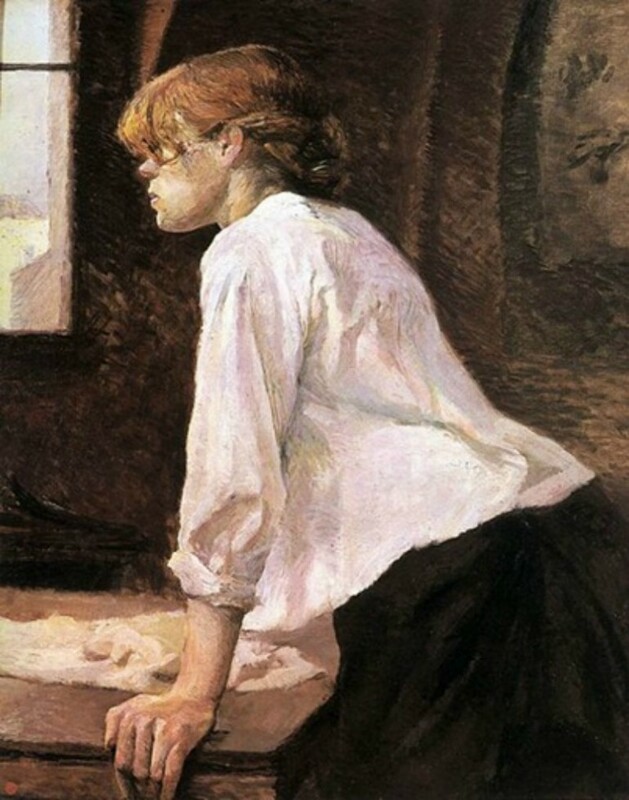 Due to inbreeding, Toulouse-Lautrec suffered from congenital health conditions. His two grandmothers were sisters and his parents were first cousins. He fractured his right thigh bone at age 13 and the left one at age 14. Both of the fractures did not heal properly. An unknown disease caused his legs to stop growing and remained child-sized. He had an adult torso with very short legs, rendering him a midget. Henri de Toulouse-Lautrec enjoyed Montmarte, a place in Paris that was a favorite haunt of philosophers, writers and artists, where the famous bohemian lifestyle of Paris was pretty much apparent. Encountering prostitutes in the area led to him painting them. He exhibited in Paris using Tréclau as his pseudonym in 1887. He held exhibitions in Paris together with Louis Anquetin and Vincent Van Gogh and was able to exhibit 11 works at the Vingt exhibition in Brussels through the invitation of Octave Maus, a Belgian art critic. Toulouse-Lautrec also created several posters when Moulin Rouge cabaret opened to supplement the allowance he received from his family. Although several artists looked down on his work, the aristocratic Henri de Toulouse-Lautrec did not pay them any attention. He got a reserved seat in the cabaret and the establishment displayed his paintings. 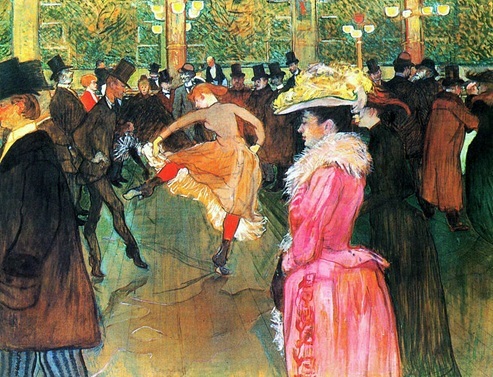 Toulouse-Lautrec made several paintings with the cabaret as the central theme, depicting the dancer Jane Avril, the creator of the French can-can, Louise Weber and singer Yvette Guilbert. When Toulouse-Lautrec went to London, he continued making posters. While in the city, he did “La Chaine Simpson,” an advertisement for a bicycle and the “Confetti” poster. He also met, befriended and later became a very vocal supporter of Oscar Wilde. He only spent about 20 years as a painter but he was able to create 737 paintings, 363 posters and prints, 275 watercolors and 5,084 drawings. He also has some stained glass and ceramic work. There were also quite a number of his work that were lost. The Toulouse-Lautrec Museum in Albi, France has the largest collection of his work. Henri was very good at showing people at work and in his cabaret paintings, he showed the movement and color of the gaudy night-life but he removed the glamour attached to it as well. In crowd scenes most of the individuals can be identified just by silhouette alone. His treatment of his subjects were dispassionate and sympathetic. His style was very linear, and he placed great emphasis on contour, with paint applied in long and thin strokes, often showing the background of his paintings, much like watercolors.